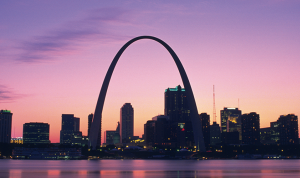 GO HERE to find out more about all our national events. Subscribe to our YouTube Channel to receive notifications about new videos and live streams. 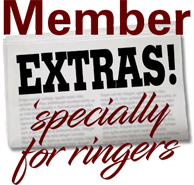 This includes membership renewal, contributions, event registration payments, invoice payments, etc. 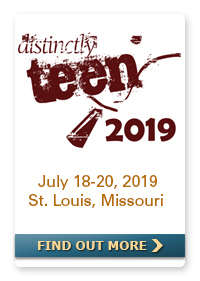 Registration opens tomorrow, February 19, for this year’s National Seminar and Distinctly Teen, July 16-20 in St. Louis, Missouri. 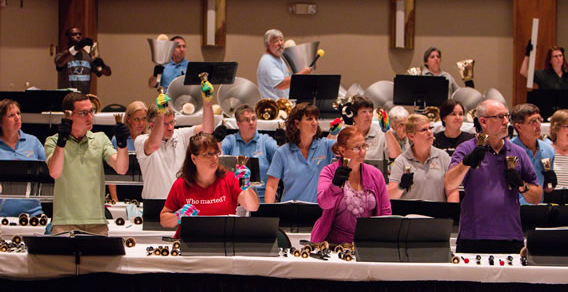 Our summer events offer something for ALL handbell musicians. 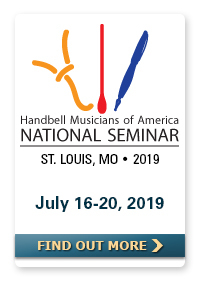 Participate in educational and engaging classes; enjoy performances by some of our best choirs and ensembles; browse and shop through exhibit booths from handbell publishers, retailers, manufacturers and more; meet and network with fellow handbell musicians and develop life-long friendships with those that share your enthusiasm and passion for our art. 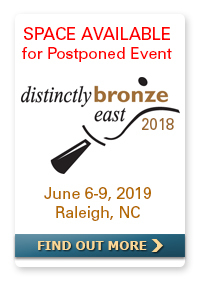 Following the Hurricane Florence disaster that wreaked havoc on Distinctly Bronze’s home of New Bern, North Carolina, and frequent delays in restoration efforts, we finally have a new temporary home and new dates for the postponed event. 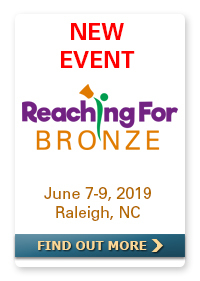 Unfortunately, delays in the restoration of venues in New Bern have caused us to relocate the postponed event to the Hilton Raleigh North Hills in Raleigh, North Carolina, June 6-9, 2019. Beginning in 2020, DB East will be moved to the late February/early March time frame, while DB West will be scheduled in the fall in order to avoid the highly unpredictable hurricane season. Following are the 2020-21 dates. Have you wanted to apply for Distinctly Bronze but worry you are not yet at the skill level to be accepted? Then this is the event for you. Scheduled concurrently (June 7-9) with Distinctly Bronze East, this new event will give participants the opportunity to learn three pieces from the DB East rep list under the direction of master teacher and conductor Michael Joy and perform them with the DB musicians on their final concert. 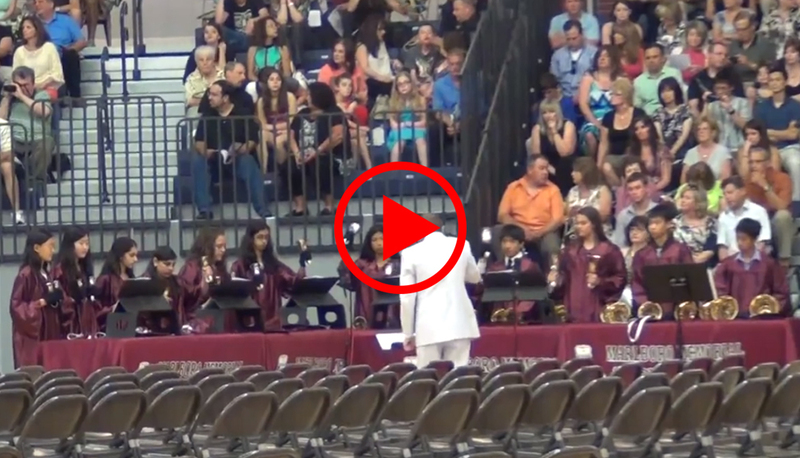 In addition, the Reaching for Bronze choirs will prepare and perform two pieces of their own. During the event, instruction will be offered in building skills in treble, bass and battery techniques, as well as improving all aspects of musicianship. 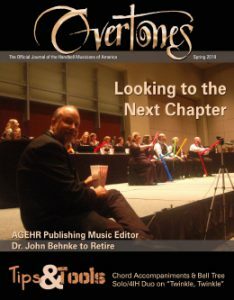 This month’s featured piece is Karen Lakey Buckwalter’s “Sojourner’s Prayer,” AG36060, for 3 to 6 octaves of handbells, Level 3. Forgive the editorial insertion, but some years ago, this writer was privileged to be in Karen’s Composing Track at a National Seminar. 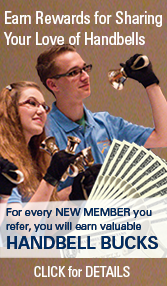 Along with me were several other young composers seeking wisdom about how to compose for handbells. Karen was so encouraging and so kind in her comments about our efforts, when she could have been quite “realistic.” She was an inspiration to us then and she is now as well. Life is good indeed and your compositions Karen, make it richer. 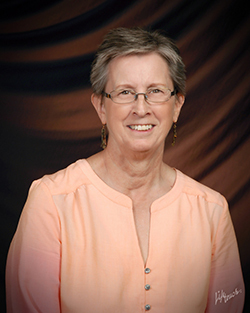 Take a journey and explore Karen Lakey Buckwalter’s new original piece, “Sojourner’s Prayer,” AG36060.